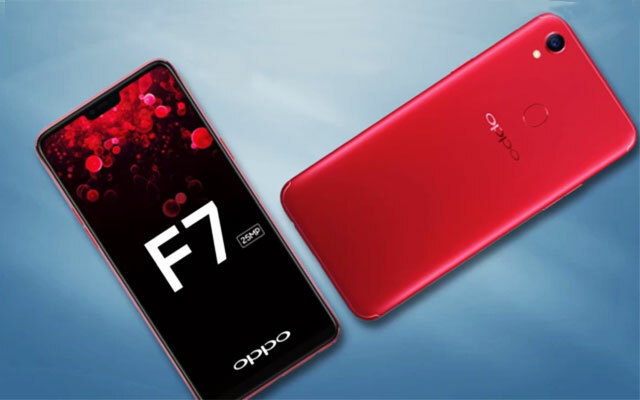 Oppo has already revealed the design of its upcoming smartphone, the Oppo F7, on social media platforms and it is now official that the phone is coming with a notch design. The official launch is set to happen on March 26 in India and only a few days are now left for that. The company has already revealed some of the specifications of the phone, including the display size, front camera, A.I. Beauty Technology 2.0 etc. 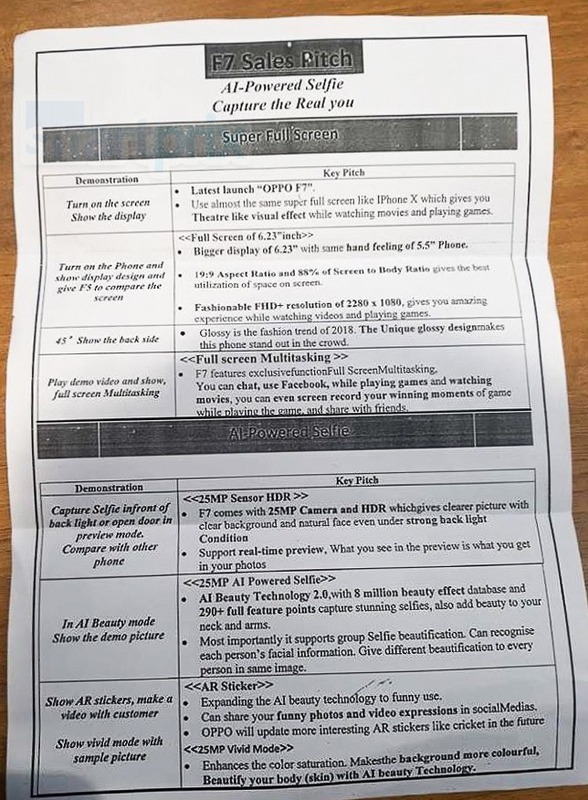 Today, we got the full spec sheet of the F7, thanks to a leaked sales pitch manual. 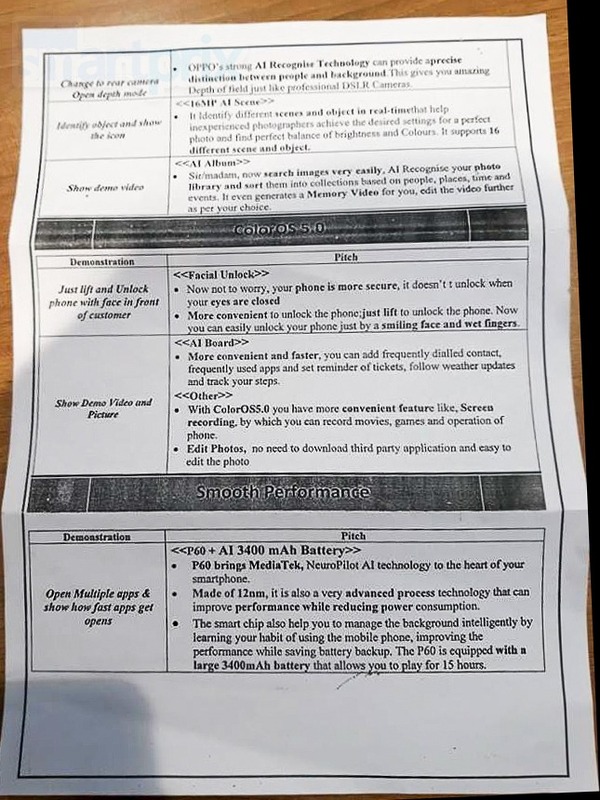 And well, that’s all about the specifications of the Oppo F7. Since it is going to be a mid-range smartphone, we cannot expect any super high-end feature. The price is not mentioned in the sales pitch documents, so we need to wait for the details about pricing.